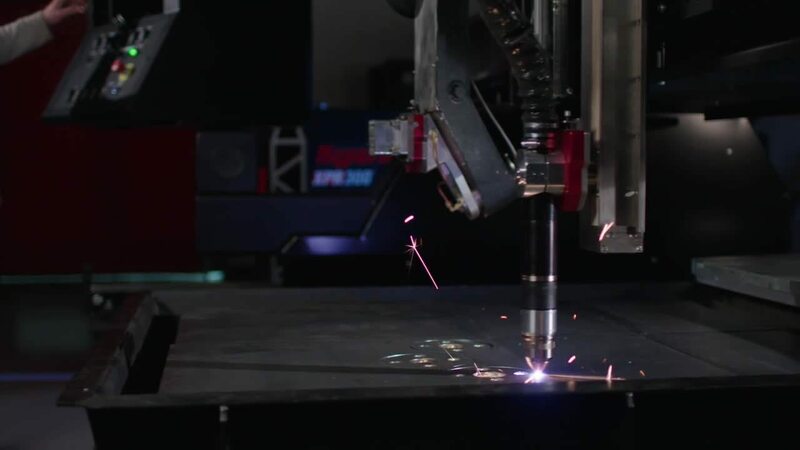 View examples of how you can use the Sensor™ torch height control in your cutting applications. 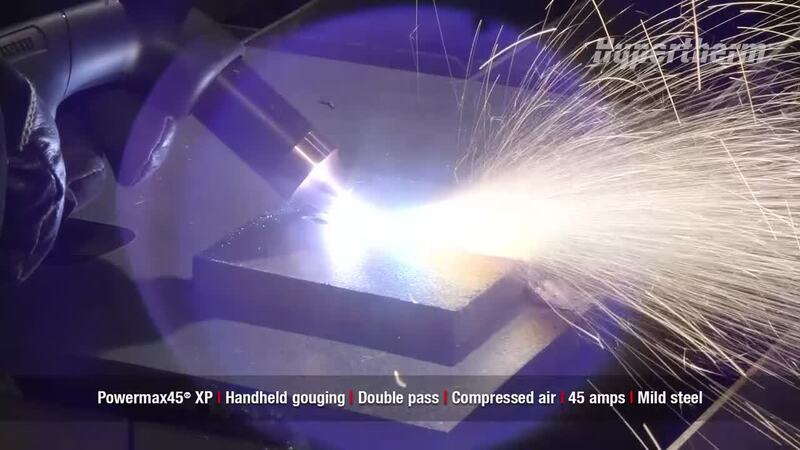 Learn about the different Powermax® gouging processes available. 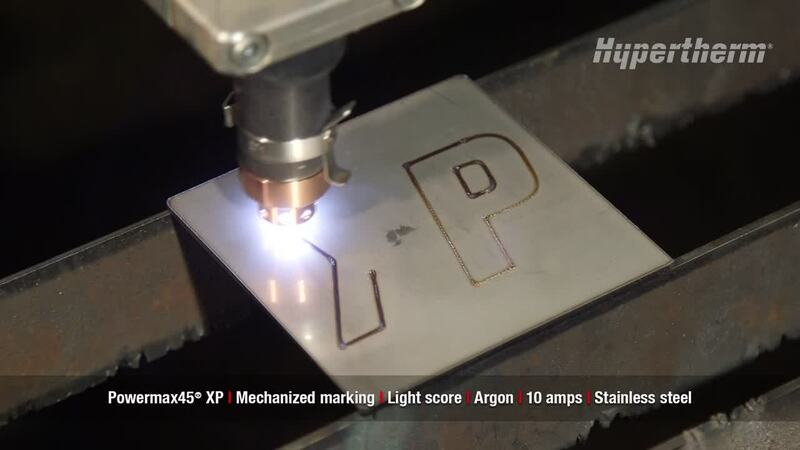 Mechanized marking of stainless steel using the Powermax45® XP with argon gas at 10 amps. 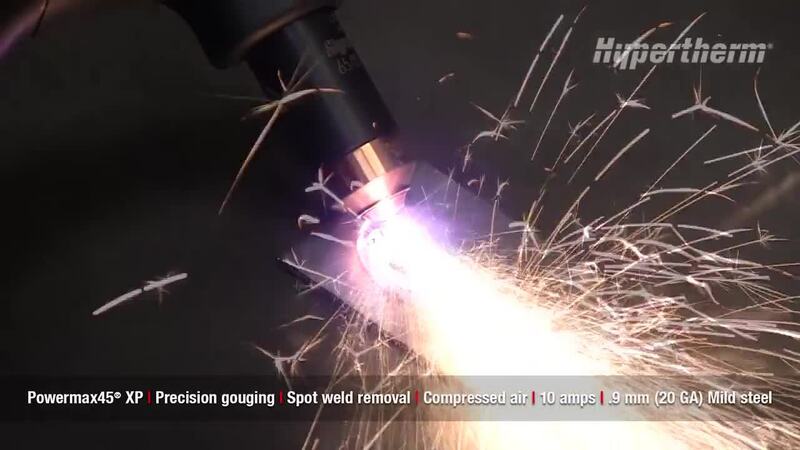 Precision gouging for spot weld removal on .9 mm (20 GA) mild steel using the Powermax45® XP with compressed air at 10 amps. 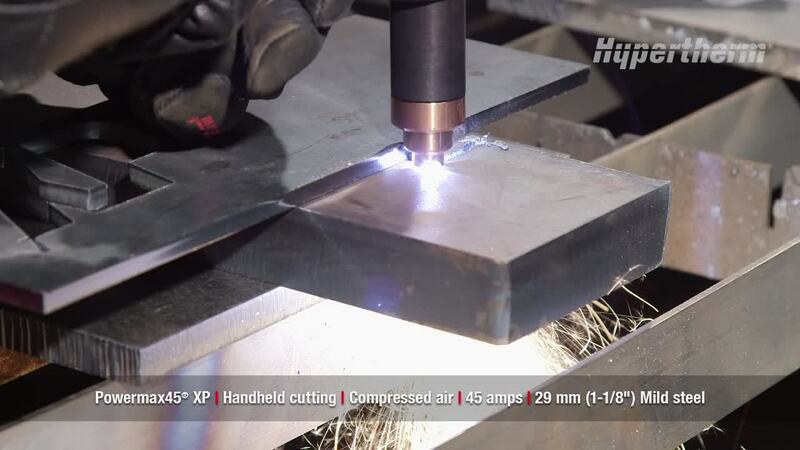 Handheld cutting on 29 mm (1-1/8") mild steel using the Powermax45® XP with compressed air at 45 amps. 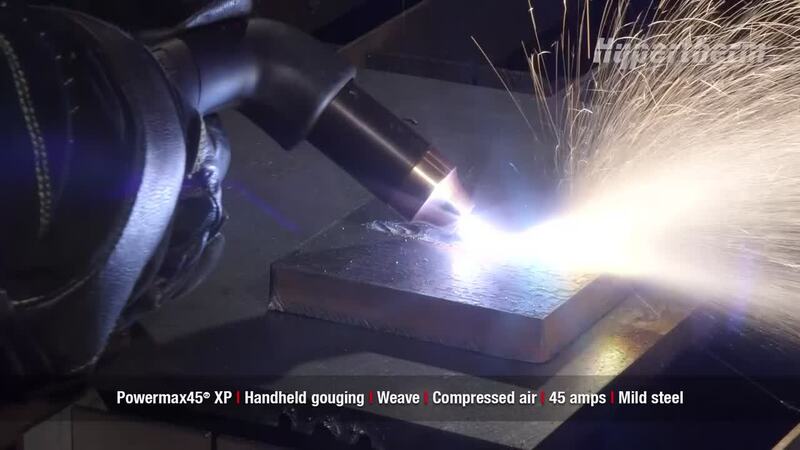 Handheld gouging using a weave on mild steel using the Powermax45® XP with compressed air at 45 amps. 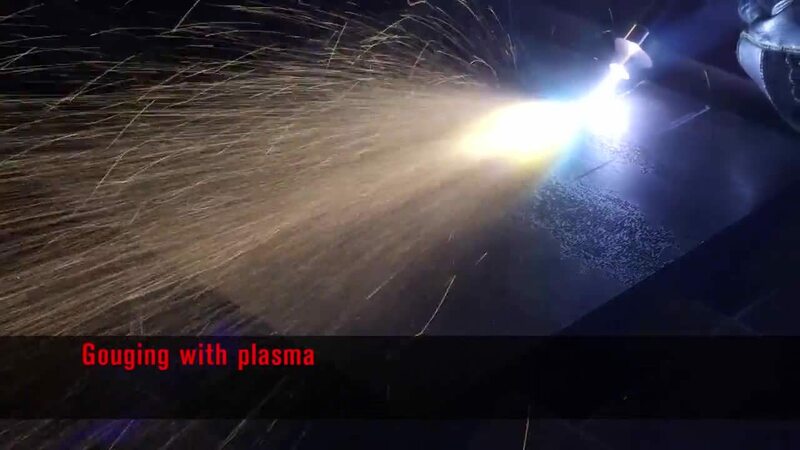 Handheld gouging using a double pass on mild steel using the Powermax45® XP with compressed air at 45 amps. 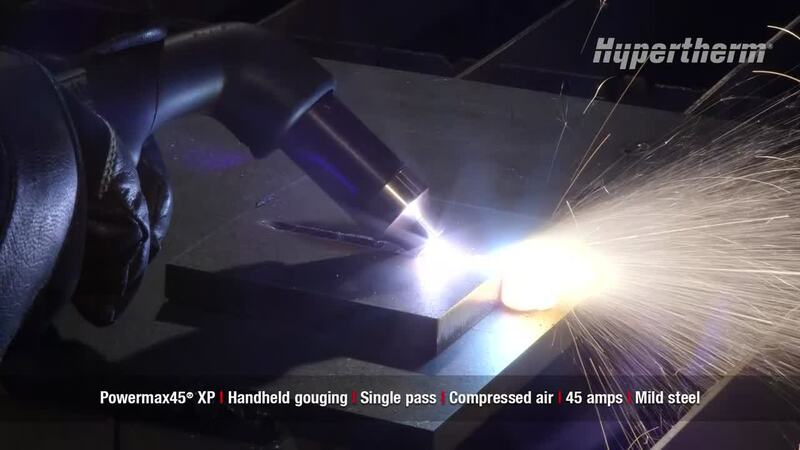 Handheld gouging using a single pass on mild steel using the Powermax45® XP with compressed air at 45 amps. 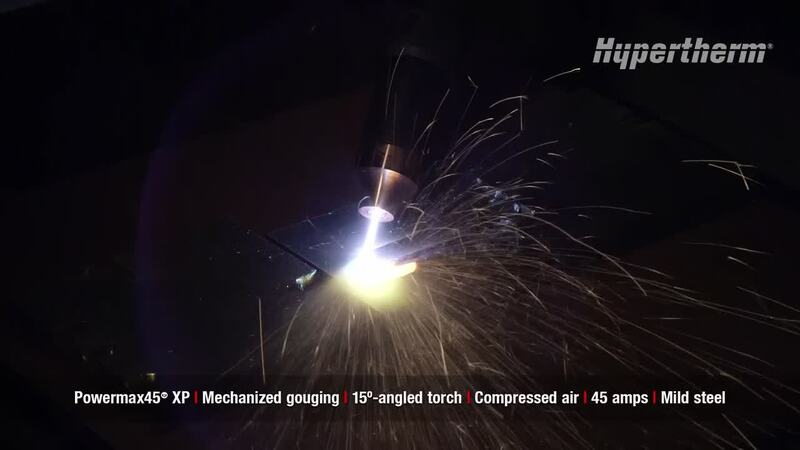 Mechanized gouging with a 15 degree torch on mild steel using the Powermax45® XP with compressed air at 45 amps.